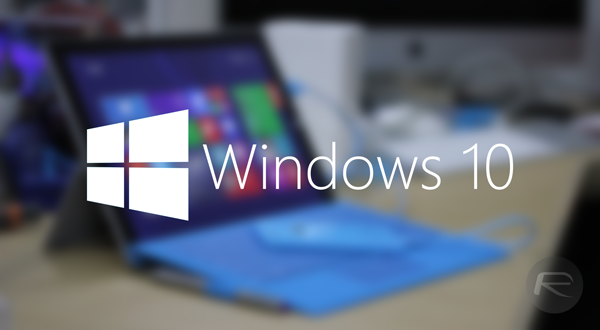 Microsoft’s current Windows 10 development is picking up pace with the firm working on a new beta release that takes the previous technical offering and takes a different tact, this time focusing on consumer features. With a January press event set to be the place the new release is detailed, consumer build 9901 has already leaked onto the Web. 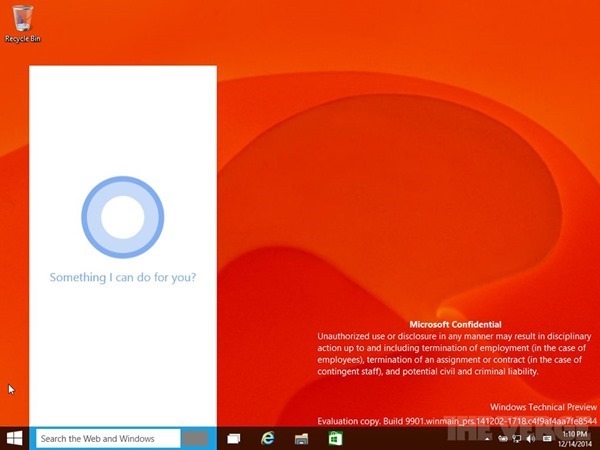 Perhaps the most interesting new feature is Cortana, Microsoft’s digital assistant. Based on the technology that powers the Windows Phone feature of the same name, Cortana acts just as you may expect in Windows 10. We’d already seen a leaked video of Cortana in action and the newly leaked build shows Cortana sat on top of the Windows search interface, giving users a new way to search using either voice or text. 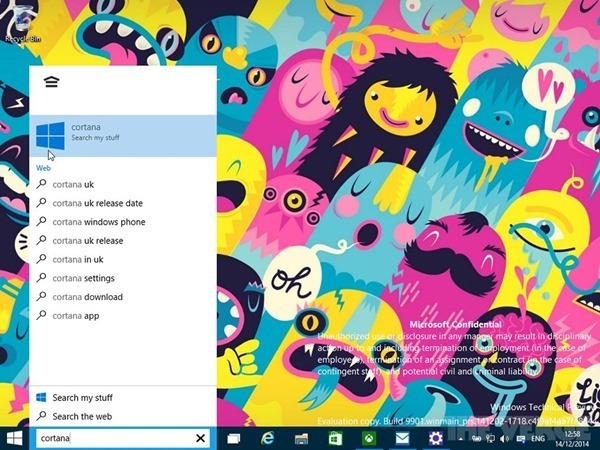 If you’ve ever used the Windows Phone implementation of Cortana, then you already know what to expect from Cortana on the desktop. With there still being such a long way to go before Windows 10 goes on sale it’s entirely possible that the whole feature will change considerably before it lands on a desktop near you. 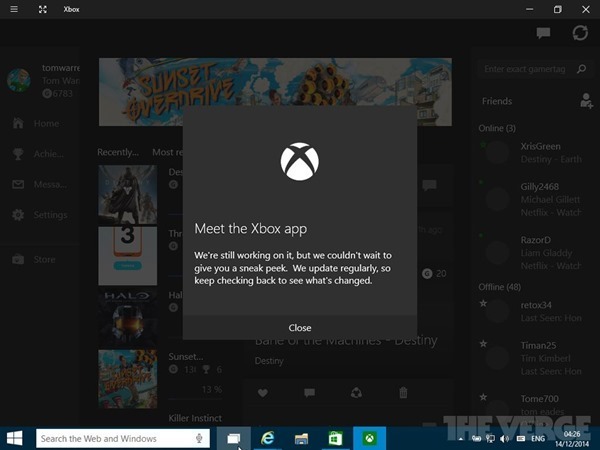 One of the other big features to arrive in this newly leaked preview is the new Xbox app. 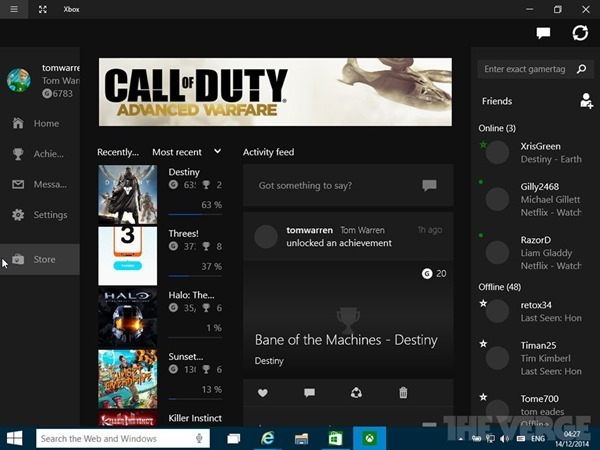 The kind of thing that users of Windows and Xbox have been crying out for, the Xbox app gives users access to their achievements, friends lists and more right from the desktop. With Microsoft having all of the information already, it really is a no-brainer to give Xbox gamers access to it right alongside their spreadsheets and Web browser. While there are other changes in this preview it’s clear that the Xbox app and Cortana will be the headline makers and with good reason. Certain alone will be one in the eye for Apple who is yet to get its own Siri onto the Mac in any meaningful way. We expected that to happen with the recently released OS X 10.0 Yosemite, but it looks like we might have to wait a little longer. No such problems in Redmond though, it would seem.